In 2011, Andrew was involved in a motorcycle crash and sustained a T10 level spinal cord injury. 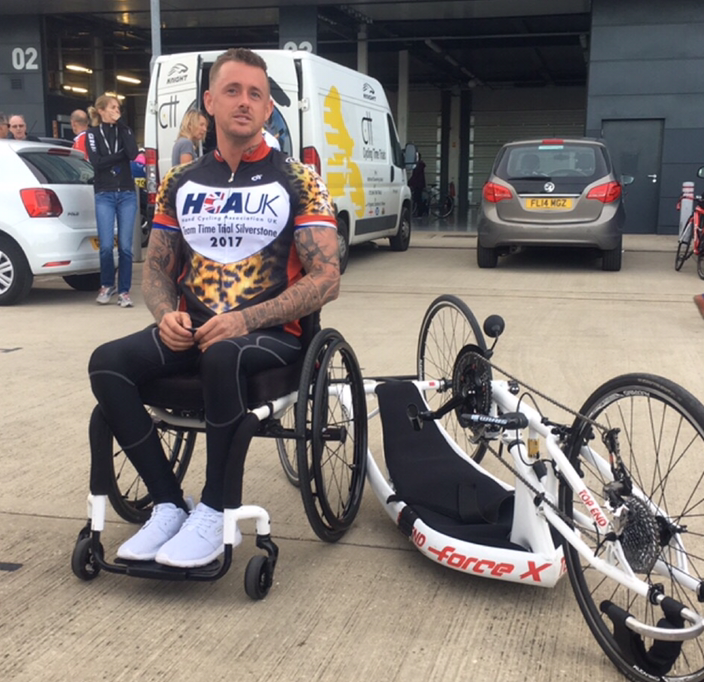 He was taken to the National Spinal Injuries Centre at Stoke Mandeville, where he spent four months completing his rehabilitation. One of the biggest challenges he faced was the impact his injury had on his confidence and independence. As a result, Andrew was determined to be as independent as possible early on after the accident. “I didn’t want anyone to do anything for me because taking pride in my independence was my main goal. Unfortunately, it got to a point where it became aggressive. I didn’t want anyone to pass the chair to me. I didn’t want help with anything,” he says. It was during this transition period that Andrew found Back Up. “It was about a year after the crash when my mum reached out to Back Up and asked for advice. She had a lot of involvement with them at the beginning while I was trying to concentrate on myself and my wellbeing. However, over time, Andrew found that, when he was sad or nervous, people reflected those emotions back at him. He decided that confidence was the key. The more self-assured he appeared, the more people’s attitudes towards him changed for the better. Andrew began to push himself to be more independent by driving to new places and doing food shopping for himself. It was due to his growing self-assurance that he decided to go on our Back Up to Work course. 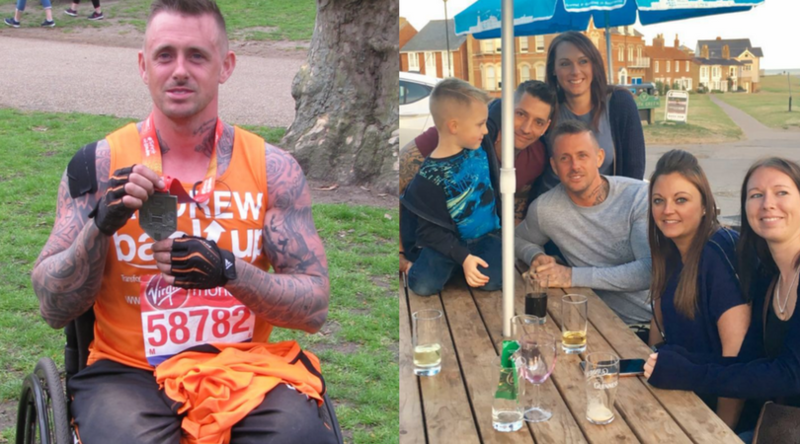 Because he felt so supported by Back Up, Andrew set his sights on a new challenge – this year’s London Marathon. “It felt like a privilege to take part for Back Up. I feel like I owe them for all the support and help they’ve given me. 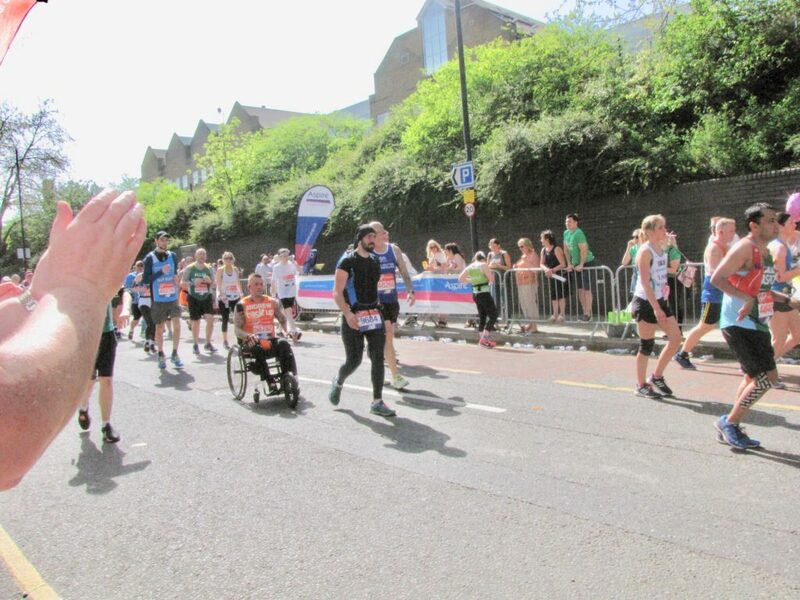 He knew a few wheelchair users who had already completed the marathon and felt like he was ready to get involved in such a big event – especially as he relishes the feeling of accomplishment he gains from big physical challenges. “I enjoy achieving things that people don’t think you can because, for me, it removes that stigma against wheelchair users. I like surprising people and proving them wrong. I’m doing things that non-disabled people do – it’s about putting us on the same level,” Andrew explains. Having a greater understanding of what he can and can’t do has helped Andrew determine what independence means to him. You can donate to Andrew Darby’s London Marathon fundraising page in aid of Back Up. 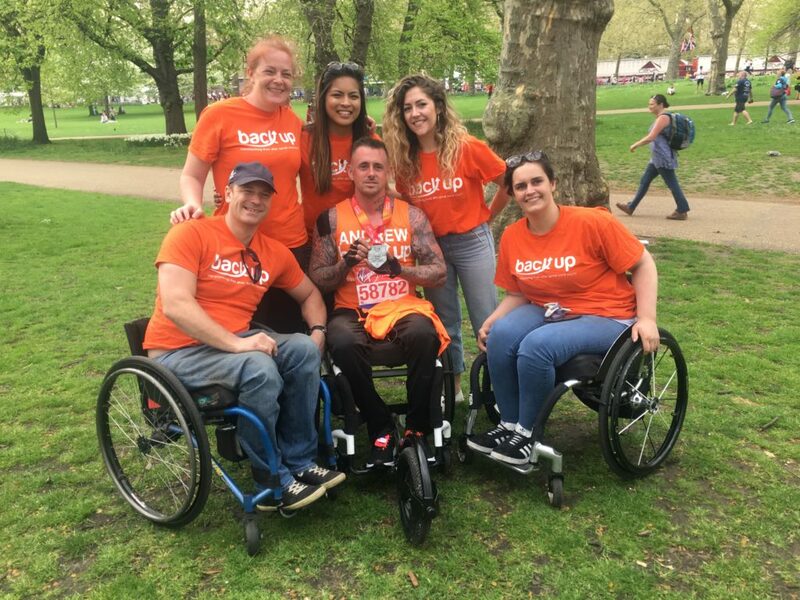 If you’d like to find out more about any of our challenge events, please get in touch with Alex at alexandra@backuptrust.org.uk or call her on 0208 875 1805.